This typical Lisbon apartment was fully restored to meet the modern comfort and design concerns. 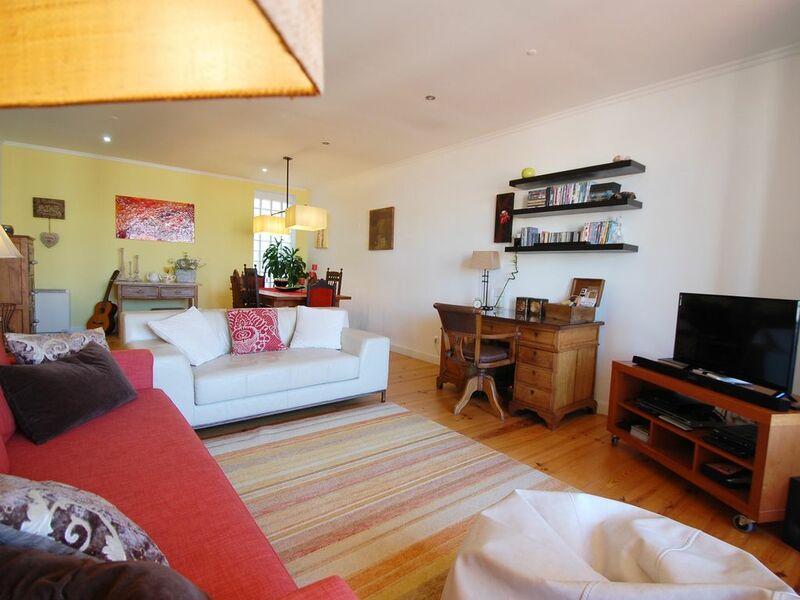 The apartment is located in a very central and typical área. You will find all services you need (supermarkets, grocery shops, pharmacy, coffee shop, bakery, post office, banques, restaurants and all kinds of shops) in a 100 m radius – most of them also open on Sundays. You will be 5 min ways (walking) from a typical market where you can find very interesting and affortable restaurants. You can reach most points of interest in Lisbon (Chiado, Downtown, Alfama, Mouraria, Rossio, etc.) in 10 minuts by subway or táxi. This is a lovely typical130m2 apartment, fully equipped and ready to use, furnished it with love and care. The balcony is lovely and perfect for enjoying a drink and snack. Cable TV, wi-fi internet and sound system are available. Besides the announced beds, there is a very comfortable couch where another person can slep. We will welcome you at your arrival and come to say goodbye at departure. Also, we will be fully available during your entire stay. We love our neighbourhood and city, so we love to advise about places to visit, restaurants, etc.. Please do not smoke inside the apartment. There is a large balcony where you can do it. We have furnished our house with a great deal of loving care and we have many personal items in the property. We would expect all guests to treat the house with the love and respect they would give in their own homes. I have always lived arround Lisbon, and now I live right in the middle of it for almost 10 years. I do love my city and I definetely enjoy showing it to people. I love wine, food and a good laugh. It will be my absolute pleasure to help you in any way you need in this wonderful city!